It may be possible for investigators to make multiple copies of the hard drive on an iPhone used by the San Bernardino mass shooter. The FBI might be able to copy the hard drive of an iPhone used by a mass shooter without triggering the device’s auto-erase functions, thus eliminating the agency’s need to take Apple to court, a company executive said Tuesday. Instead of forcing Apple to help defeat the iPhone password security that erases the device’s contents after 10 unsuccessful attempts, it may be possible to make hundreds of copies of the hard drive, said Bruce Sewell, Apple’s senior vice president and general counsel. Apple doesn’t know the condition of the iPhone used by San Bernardino mass shooter Syed Rizwan Farook, so it’s unclear if mirroring the hard drive would work, but it’s possible, Sewell said during a congressional hearing. The suggestion that the FBI attempt to copy the iPhone’s hard drive first came from Representative Darrell Issa, a California Republican and former car-alarm entrepreneur. The design of the older model iPhone 5c may allow investigators to remove its hard drive and make multiple copies, Issa said. Investigators could then run 10 password attempts on each copy until they found the correct password, he said. 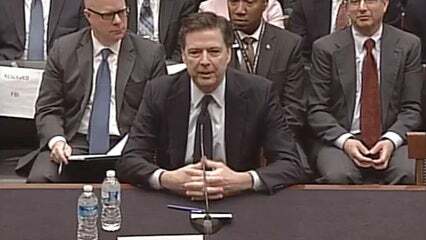 Sewell and Comey both faced tough questions during the hearing, which was focused on the pending court case and on smartphone encryption. Both men largely repeated their talking points from the long-running debate on device encryption, but lawmakers seemed split on whether Apple should honor the FBI’s request and Magistrate Judge Sheri Pym’s Feb. 16 order requiring the company to comply. Apple has resisted the court order and called for Congress to set encryption policy, but it hasn’t proposed any specific actions, noted Representative Jim Sensenbrenner, a Wisconsin Republican. If Congress acted, it might force Apple to aid in similar investigations. Critics of Apple’s position suggested the company is ignoring public safety issues. Apple and Google, by enabling encryption by default on smartphones running their OSes, are, in effect, setting a U.S. policy that values customer privacy over national security and criminal prosecutions, said Cyrus Vance Jr., district attorney for New York County in New York. 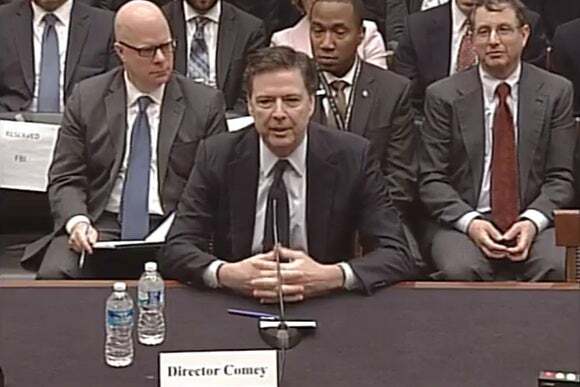 Smartphone security and encryption will eventually lead to a serious problem when entire segments of suspects’ lives are shielded from police, Comey told lawmakers. Several other lawmakers questioned the FBI’s demands, saying a court order requiring Apple to write new code to defeat the phone’s security could lead to hundreds of similar requests. Vance, the New York prosecutor, said his office is now in possession of 205 locked smartphones that could be used as evidence in criminal cases. Criminals will find ways to exploit mandated holes in encryption, said Representative Zoe Lofgren, a California Democrat. While the FBI worries about “a world where everything is private, it may be that the alternative is nothing is private,” she said. During the hearing, Comey acknowledged the FBI made a mistake when it asked San Bernardino County, the owner of the phone, to change the password soon after the mass shooting there in December.